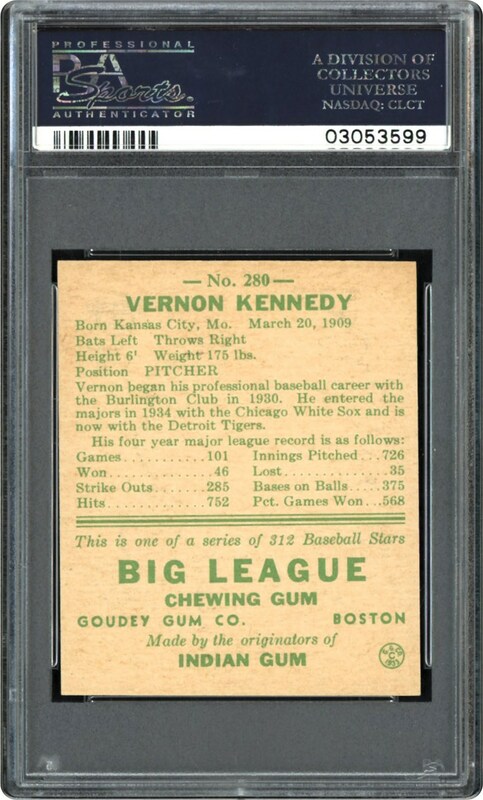 One of Vernon Kennedy's finest cards is unquestionably this outstanding 1938 Goudey PSA NM/MT 8 offering that has only been bested by a paltry two other specimens! The Detroit Tiger's right-handed twirler's pitching pose portrays rich hues, with the yellow frame only depicting a negligible "tilt" towards the lower right corner. 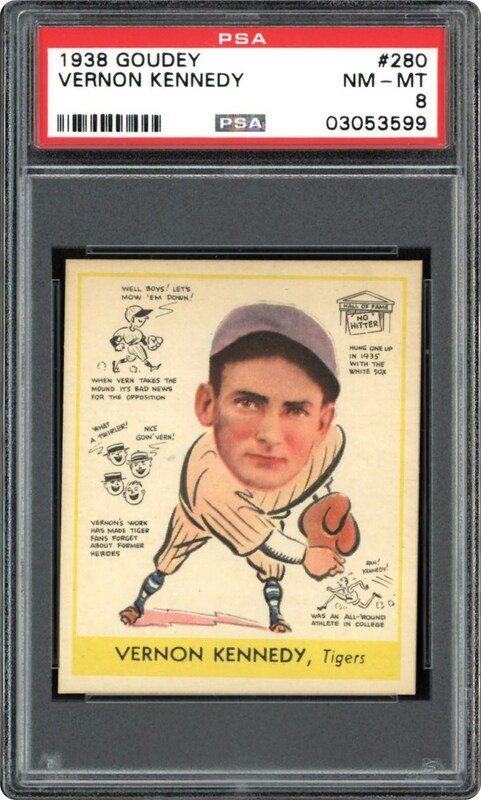 Fine centering, super clean surfaces and blistering sharp corners are the final exclamation points for this awe-inspiring keepsake that awaits a new home in any exalted PSA registered set!